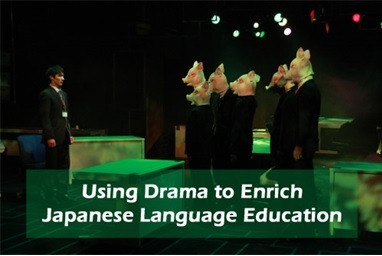 This is a follow-up to the popular November JF/BATJ seminar on 'Using Drama to Enrich Japanese Language Education'. Etsuko Shirasaka, the director and producer of two Japanese theatre companies, Caramelbox and Anemoi Proguramu, will present theatre games, voice-training methods, and emotional release exercises, which can be used in language teaching. We look forward to seeing many of you.